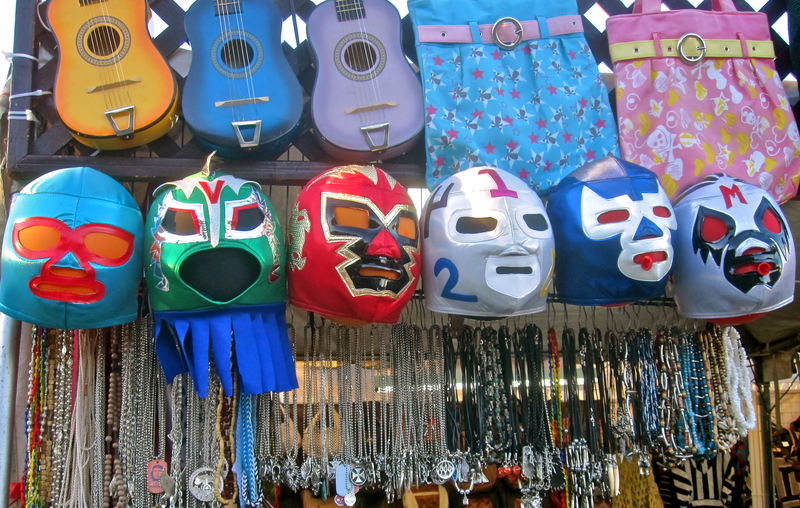 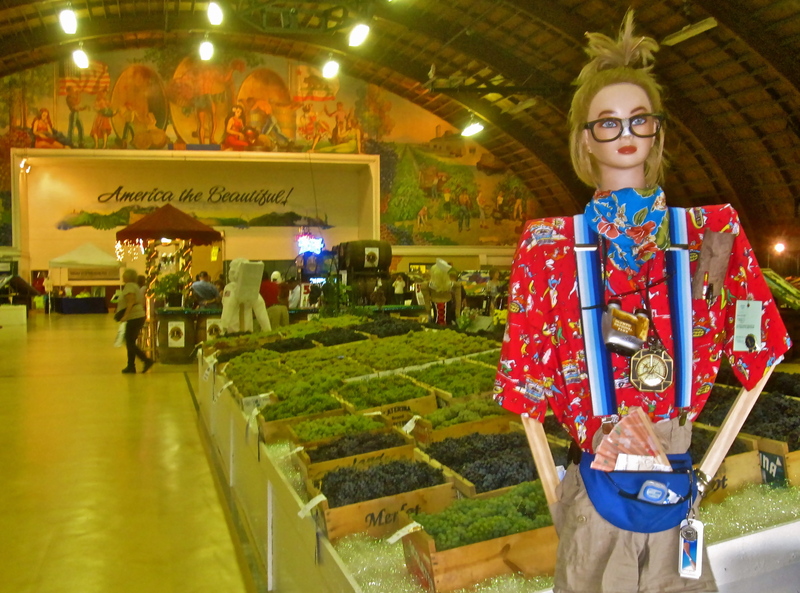 September 16-19 – When was the last time you’ve savored true Americana? 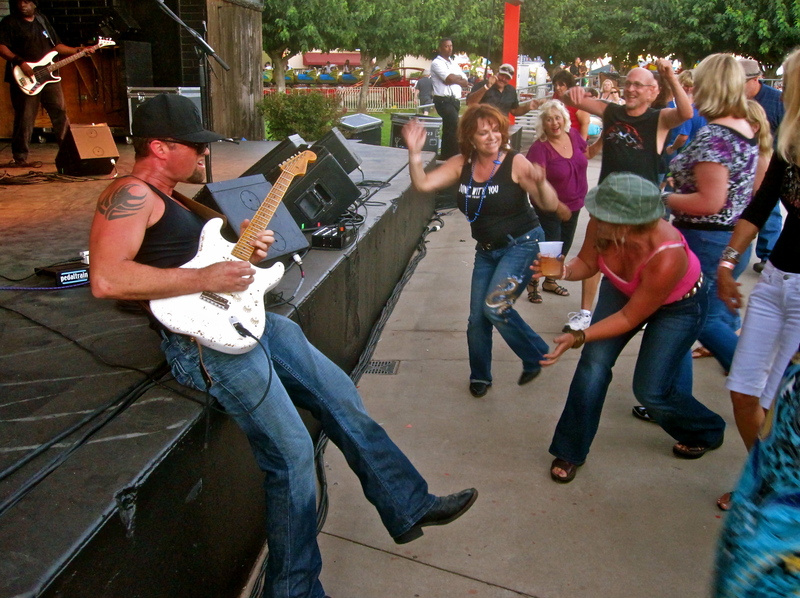 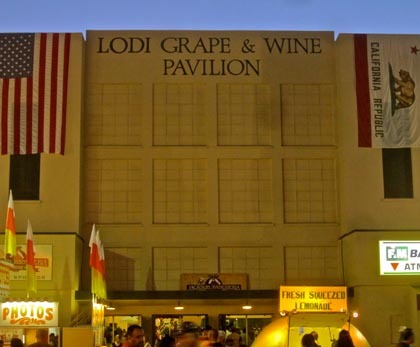 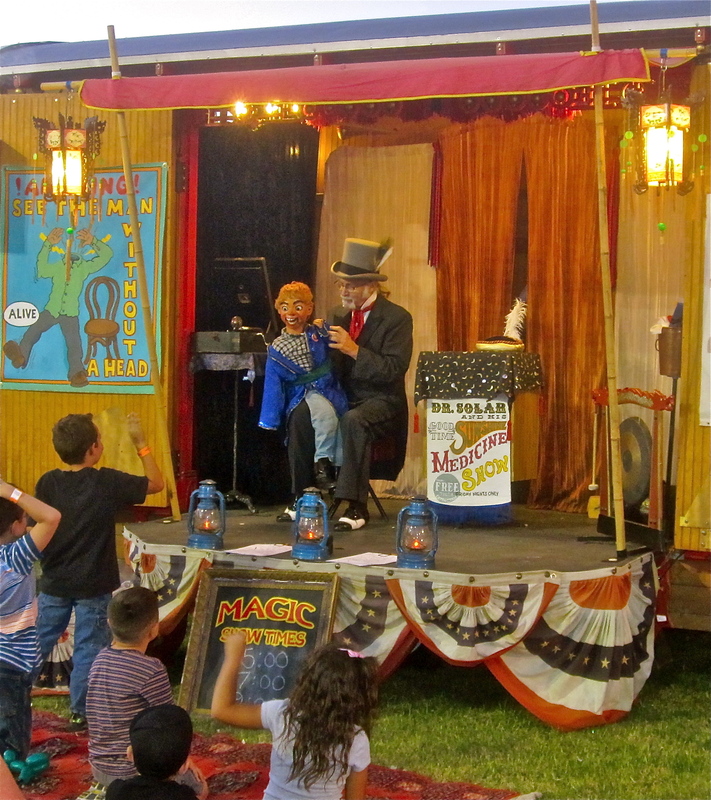 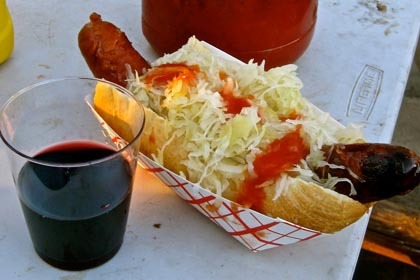 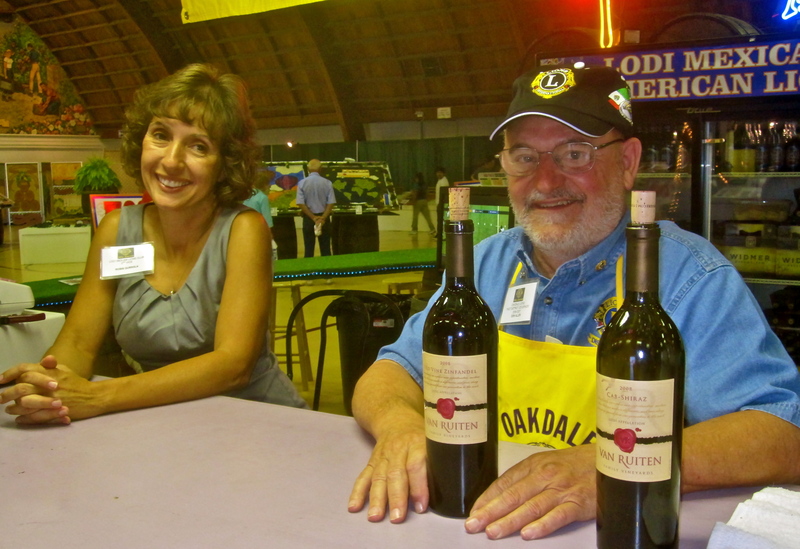 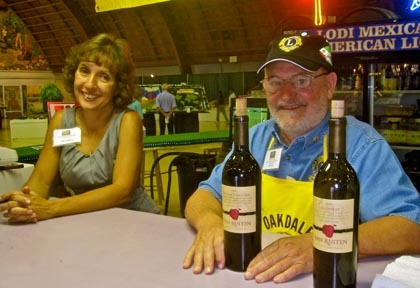 The annual four-day Lodi Grape Festival has been serving up sky-high slices of it, with sides of Tokay and glasses of teeth staining Zinfandel, continuously since 1934. 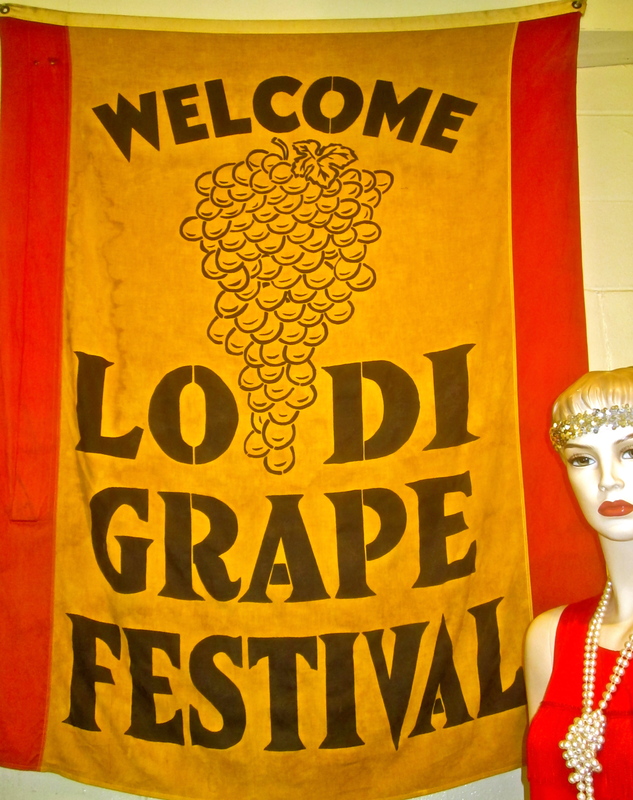 The first grapefest was a celebration of the previous year’s repeal of Prohibition and (since unions were not in fashion then) the quelling of a labor strike during the harvest of ’33. 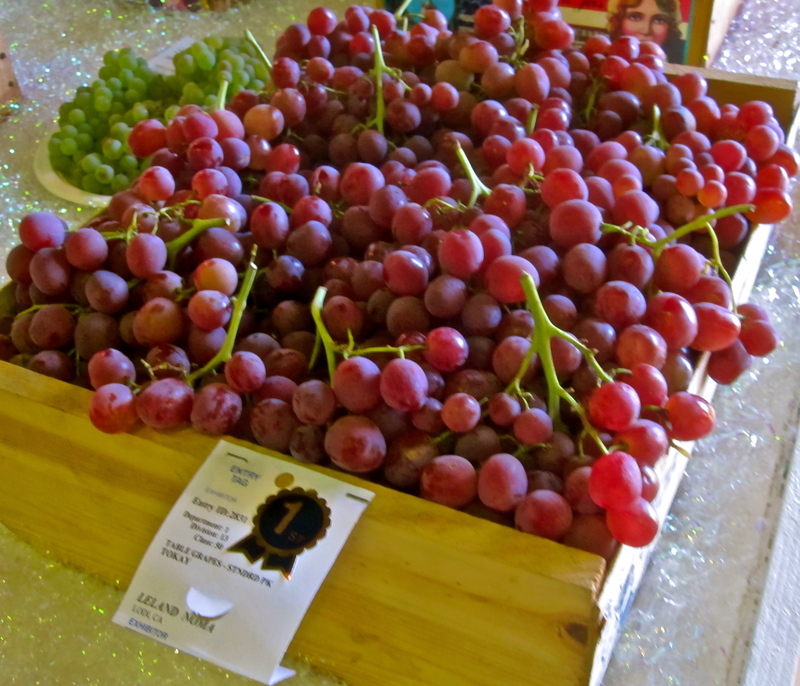 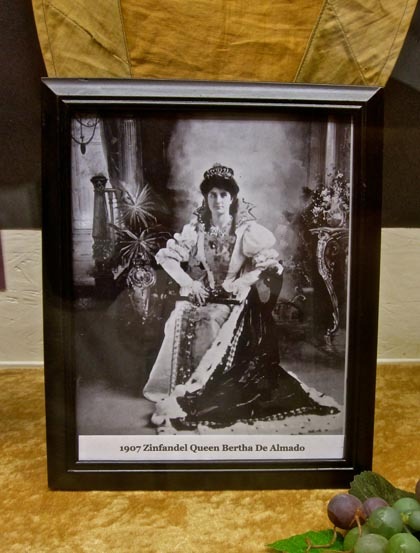 Long gone are the mustachioed honorary peace officers, the beauty queen pageantry and grand parades; but still going strong are the grape contests (Best Tokay Bunch, Largest Tokay Bunch, etc.) 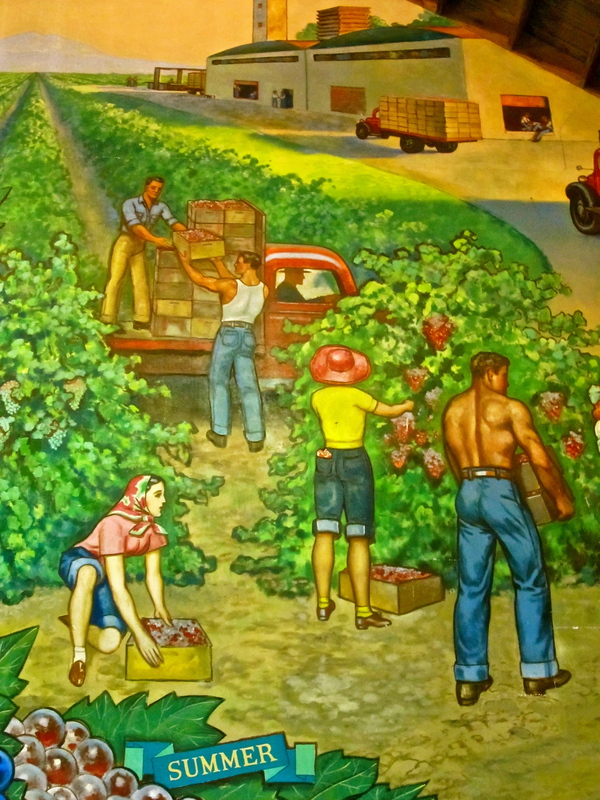 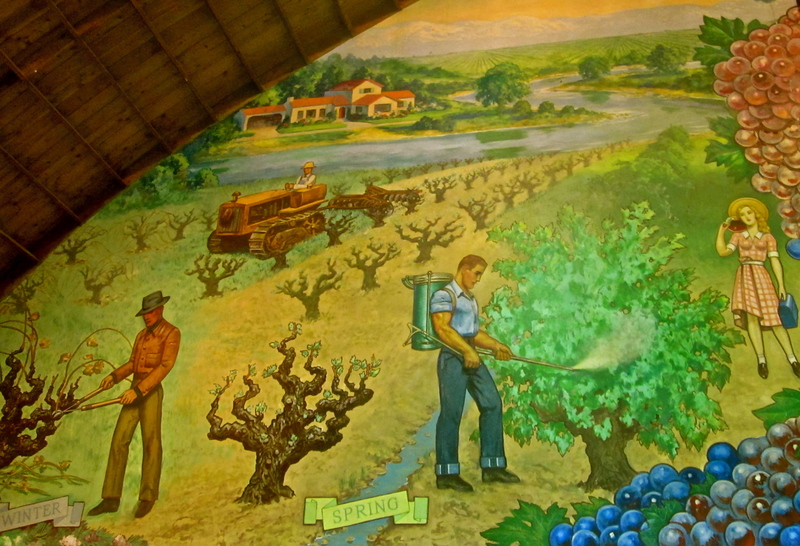 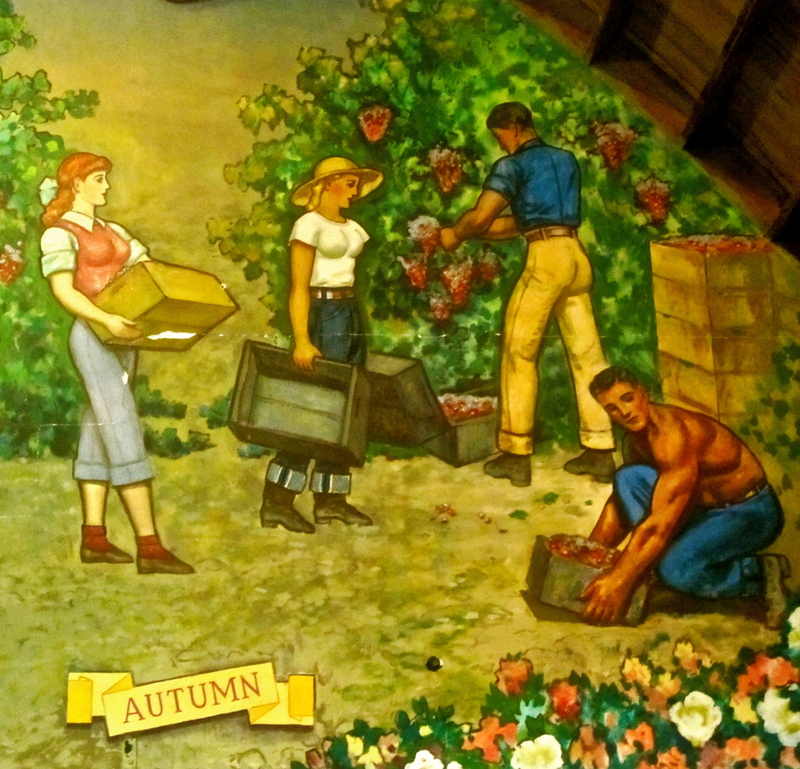 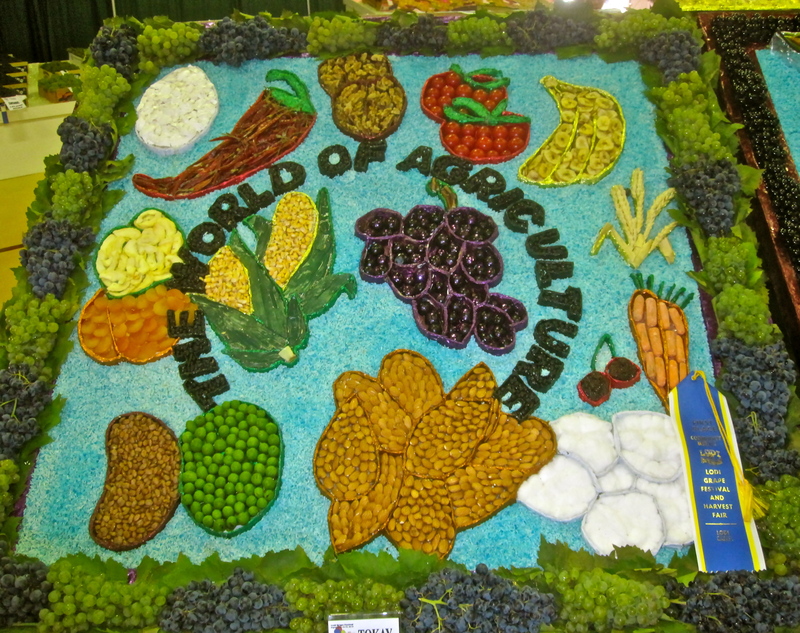 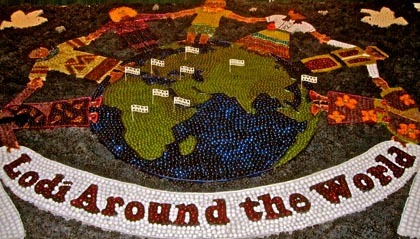 and, since the fifties, the annual grape mural contest (giant, colorful artistic displays made from grapes painstakingly glued to flat boards). 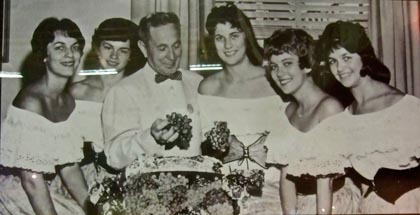 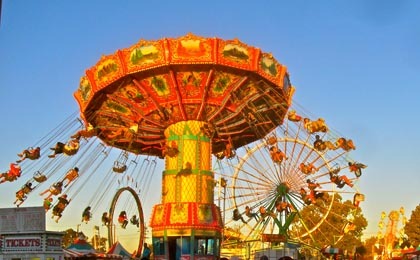 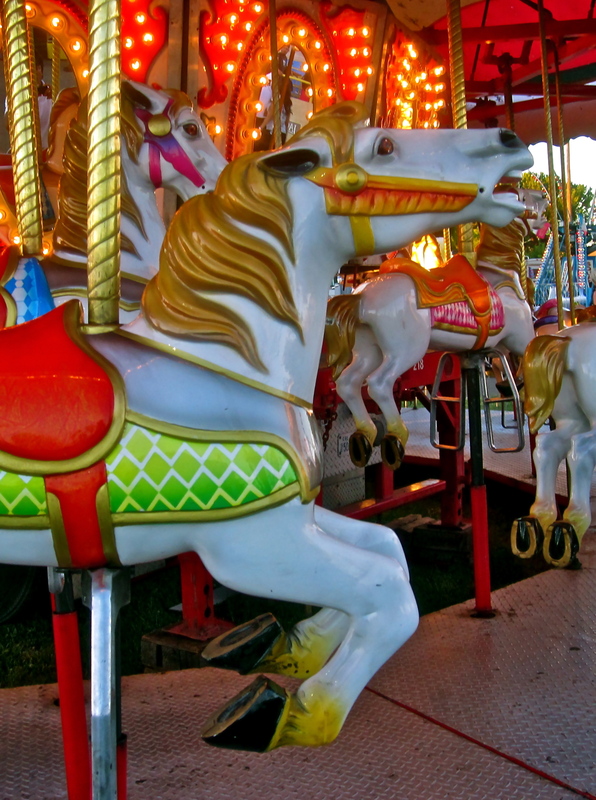 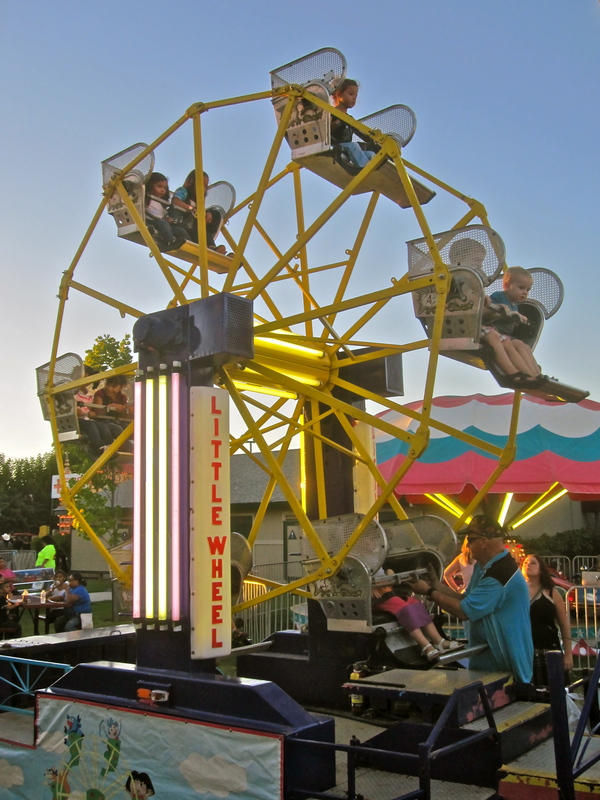 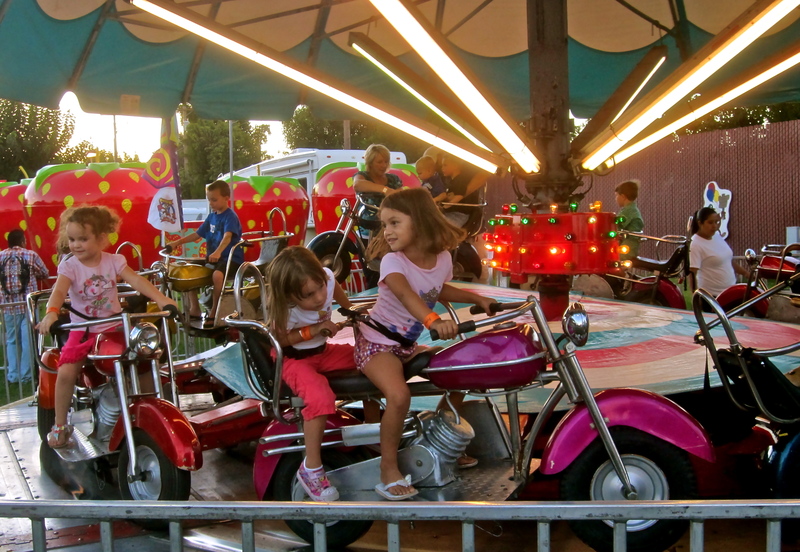 Admission into the earliest grapefests was just 25 cents; but relatively speaking, it’s about the same today: $8/adults; kids under 5 free; $4/6-12 year olds; and carnival ride wristbands for just $20. 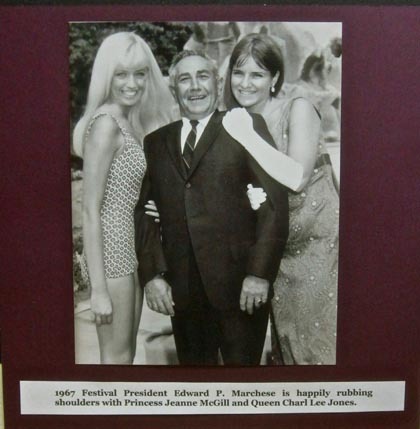 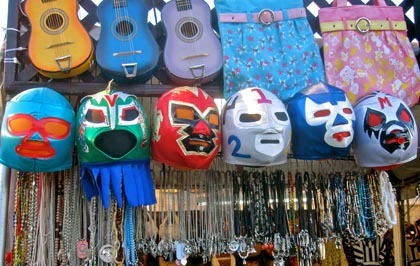 'Twas a time when men were men and women were... right in there! 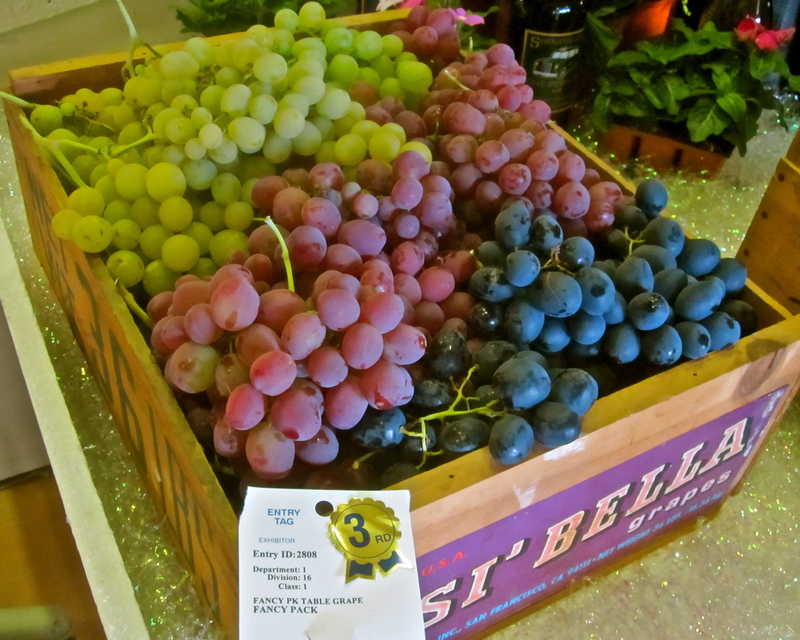 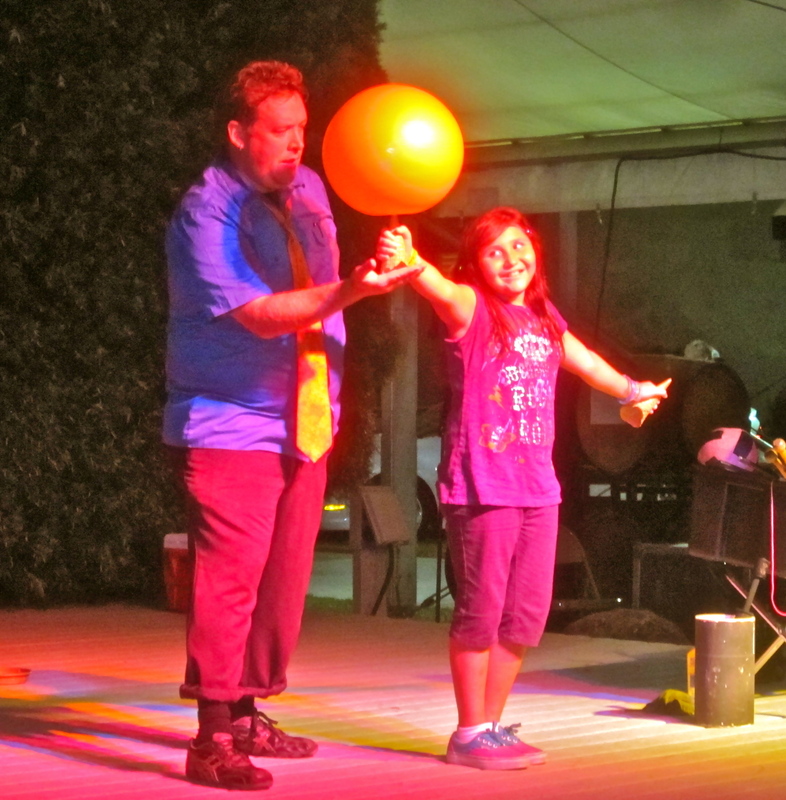 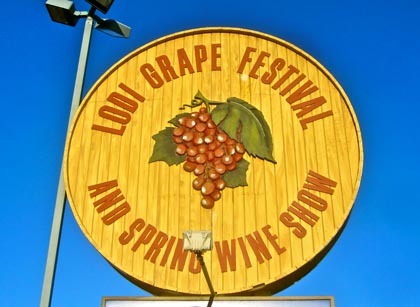 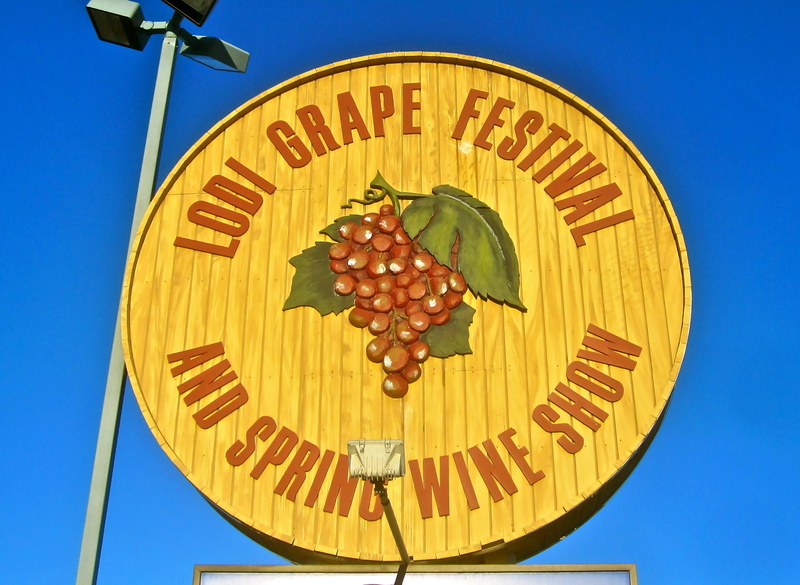 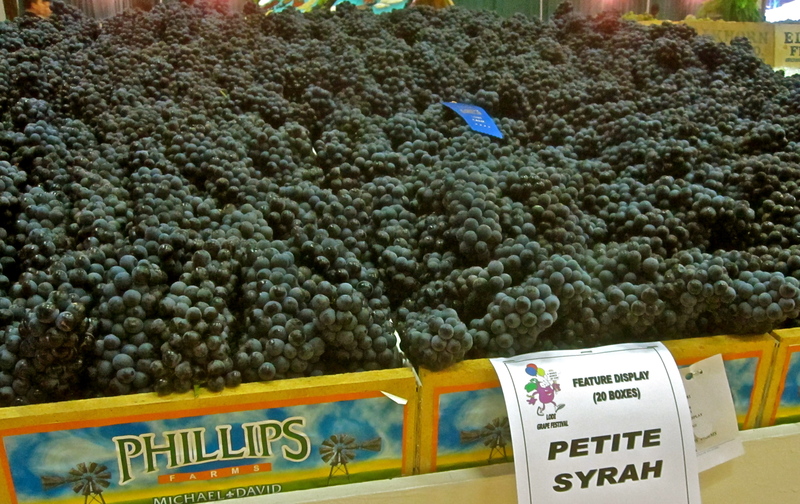 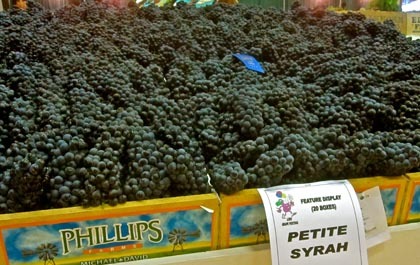 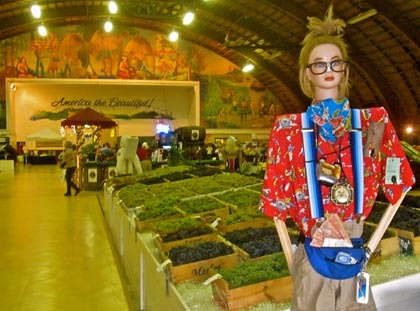 Mixed media in Lodi: where playing with vegetables and fruit can be copacetic..
See you at the 2010 Lodi Grape Festival & Harvest Fair!